apply for making straw pulp, wood, etc. prevent smell, black liquior overflow. high dewatering rate, high pulp drying. low rotary speed, no noise. 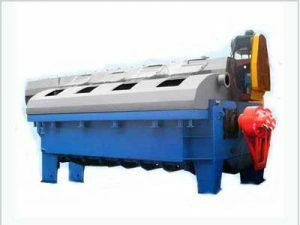 Single screw press is the squeeze pulp equipment that is used for paper pulp dehydration. 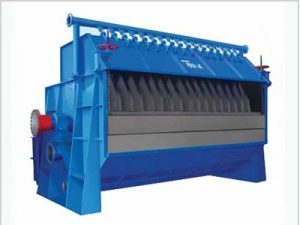 In general, single screw press is mostly designed for black liquor of wood pulp, bamboo pulp, wheat straw pulp after cooking and high effective concentration of waste paper pulp. Single screw press is mainly applied for black liquor extraction in the large-scale pulp mill. It is installed in the spray storage and squeezes the black liquor from the pulp depend on the variational diameter-pitch screw, finally black liquor from the filter box to the black liquor tank. In principle, after being cooked, the pulp is injected into single screw press. Then, the water and black liquor are separated from the pulp by squeezing, so as to achieve the purpose of black liquor extraction. Meantime, due to the squeezing of pulp actually produces the result of impressafining. Transmission: variable-frequency drive, motor, retarder, coupling, and etc. The speed of the spindle can be adjusted by the variable-frequency drive. 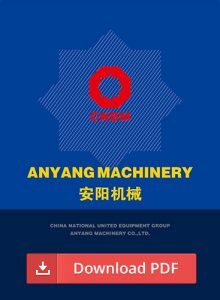 When the speed of the screw shaft is increased, the production capacity of the equipment can be improved. When the speed of the screw shaft is reduced, the dryness of the exporting material can be improved. 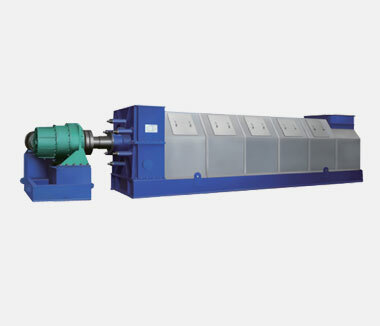 Screw shaft: at first, the pulp is connecting with a screw conveyor. In the middle part, screw shaft increases the compression ratio, ratio of filtrate extraction and dryness of pulp. Finally, the latter part is a high-pressure screw, from the feed port to discharge port, screw pitch of screw blade are ordered from small to big. 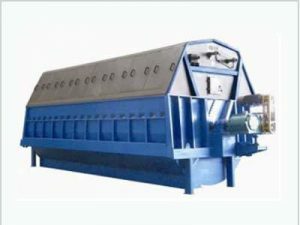 Sieve drum: It includes inlet section, the pre-filter section, the filter section, the compression section, and the outlet section and so on. 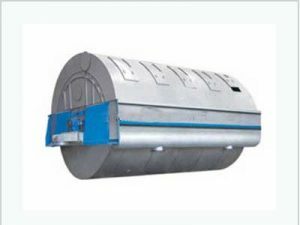 The inner layer of the sieve drum is the mesh, which is made of stainless steel plate, the aperture from the inlet to the discharge port are arranged from small to large. Single screw press from CNBM can effectively handle pulp with a variety of feeding concentration. Concentrated paper pulp has uniform dryness and stable pulp production rate. The pulp passed the single screw press, fibers are rarely affected, no clogging, no skid design to reduce the wear and corrosion of the screw. The device can also be used to concentrate the finished pulp and sell it directly as a commercial pulp.